What’s your animal sign? There has been a relationship between humans and the 12 zodiacal animals. It is believed that the years represented by the animals affect the characters of people in the same way as the western astrology signs. 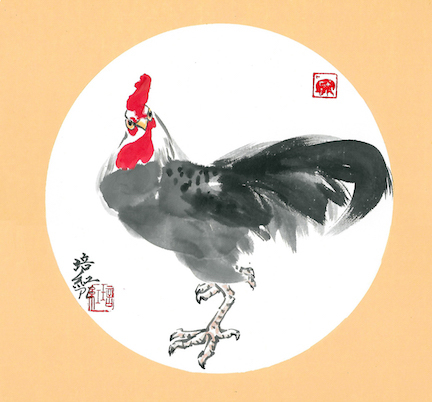 Chinese Zodiac, also called Sheng-Xiao, is a 12-year cycle starting from rat to pig with a symbolic Zodiac. In this semester, Peihong will introduce from Snake to Dog of Animal signs. You will learn to use very simple brush work to express each animal signs. Each technique will be hands-on and step by step instruction. You also can choose your favorite objects that you would like to work with. Contact the instructor at peihong1512@gmail.com for more information. Welcome all levels. Non-members: Save money! Sign up to be a WAS-H Member and get additional member benefits. Click here to sign up.